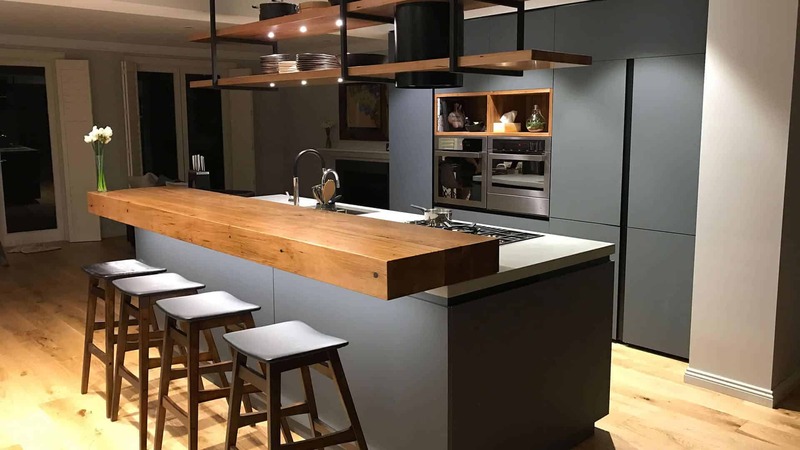 Whether space is at a premium, or your wish is for an expansive industrial-style kitchen, our Touch Wood Cabinetry team will work with you to turn your cutting-edge imagination into a state-of-the art industrial style kitchen. We know this will be where you live much of your busy, bustling life, the beating heart of your Melbourne suburbs home. 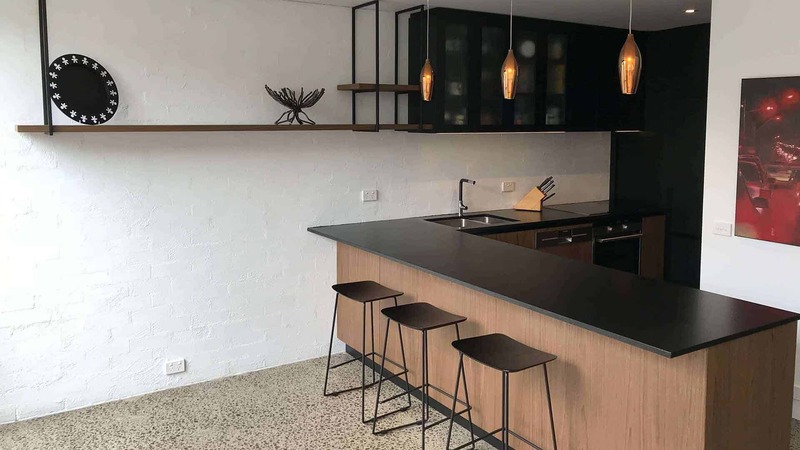 You’ll demand that it be as functional as it is stylish, as durable as it is elegant – always as ready as you are to make the most of your new industrial kitchen! 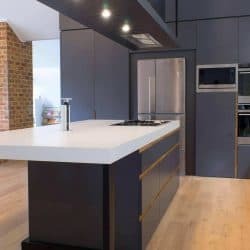 While you might want the chic and sophisticated, the modern and sleek, you know that your industrial kitchen design must deal with the practicalities of space, and the splashes and scrapes of modern life. 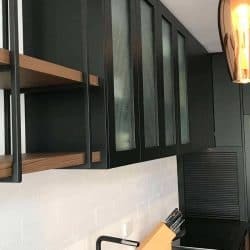 You’ll demand a maximum of storage and stacking, perhaps added to a wealth of display opportunities to hang utensils, pots and pans, to make the most of open shelving. 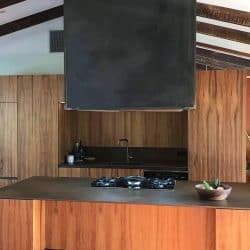 All these possibilities should come together to create that busy professional kitchen ambiance in a way that also becomes a perfect part of your own stylish home. Together, this is exactly what we will achieve. 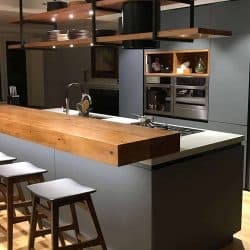 Delivering the best of your ideas with unmatched quality in craftsmanship to create that industrial style home kitchen excites our experienced Touch Wood team. 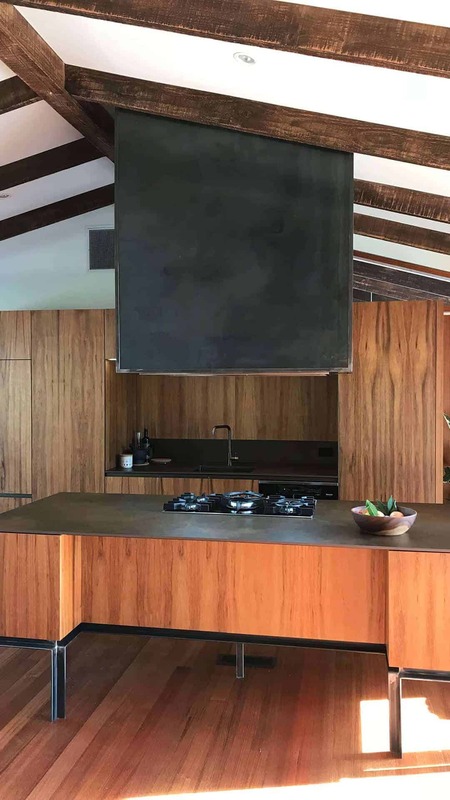 Imagine a toolmaker and chef combining their skills to amazing effect – that’s what we actually do! Add to this our commitment to never outsource our work, and our in-house steel workshop, and you’ll appreciate that style and substance form equal parts of our kitchen-crafting DNA! 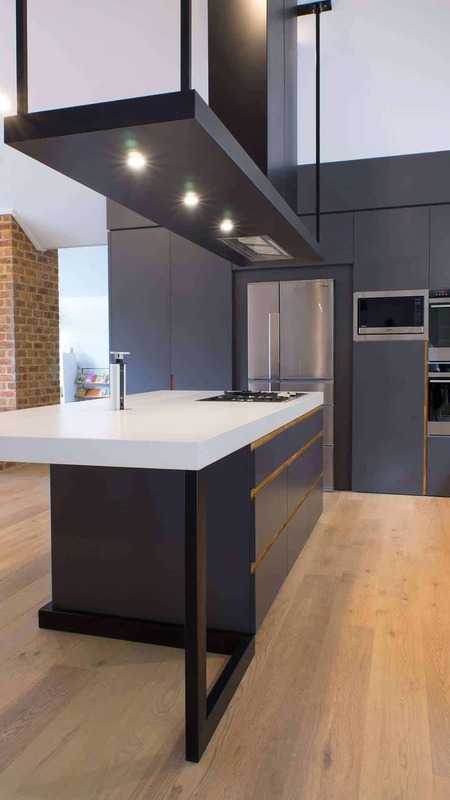 We craft all our own waterproof and heatproof surfaces, benchtops, stylish splashbacks. 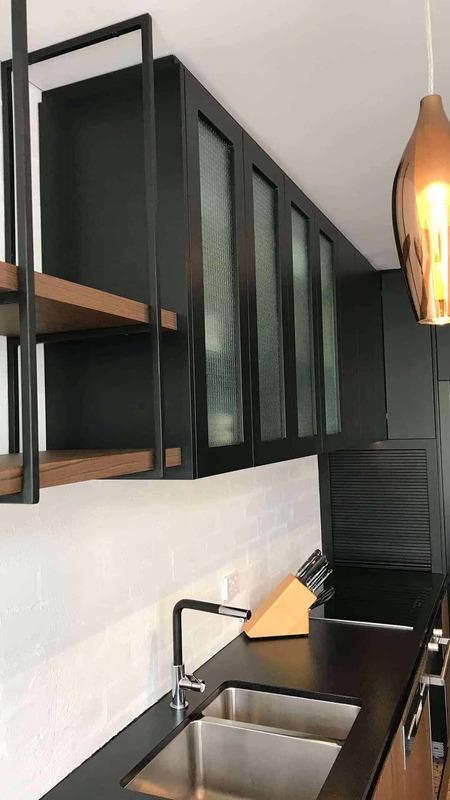 We can imagine and create innovative storage solutions such as open or stacked shelving, plus wall-hung or suspended, as well as built-in, cabinets. We add LED lighting just where you wish it to be. We take time to ensure both adequate airflow and maximum storage, so your industrial style kitchen makes just as much of the practicalities of space as it shows off the power of design. 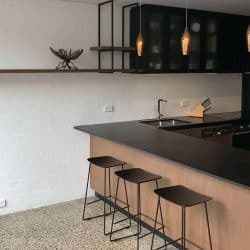 Take advantage of our obligation free consultation to challenge us to deliver that unique industrial kitchen design for your Melbourne area home. You can call our award-winning team on 03 8555 9738, or email sales@touchwood.com.au. You can also complete our Contact Form or simply visit our showroom at 3/891 Princes Highway, Springvale (close to IKEA). We’re ready to turn your imagination into a functioning and magnificent reality.